If you knew me or met me there is a good chance that you would not think of me as someone who should be giving advice on cooking. To be clear, I cook a lot. I love to cook at home and I am passionate about grilling. But to be fair, I am also a single guy in his thirties who has never been married, who mostly cooks for himself, and despite all my efforts, can’t seem to maintain what most people would call a “healthy” diet. That being said, I still have my share of tips that I have collected over the years. Don’t use Crisco shortening for everything. Some recipes work better with margarine and some need butter. Often times, oils will be your best bet. 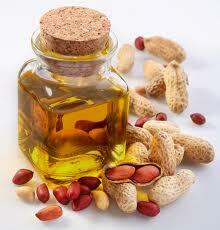 There are a lot of different oils out there and they are not all created equal. My mother has told me to avoid vegetable oil in favor or canola oil. She says it is healthier. Some of my healthier friends tell me that there is no such thing as a canola plant and to avoid canola oil. The funny thing is that my mother and my friends all seem to agree that extra virgin olive oil is healthier than any of the other options. This can be a problem. If you are living paycheck to paycheck, olive oil might be out of your price range, especially when you need to buy enough to fill a deep fryer. 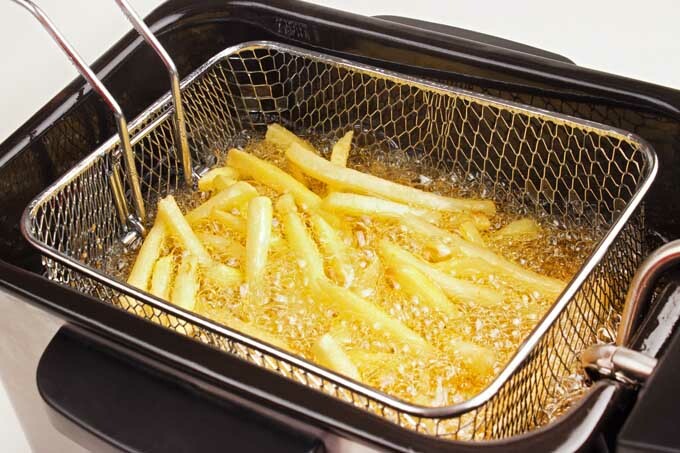 I have a deep fryer because french fries are a gift from God. You really should get to know the meat that you work with. 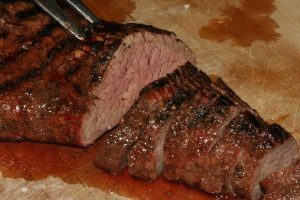 I do not consider myself an expert on all the meats, but I make a point to know the ins and outs of what I usually eat. Even if it’s just the basics, it can be helpful. For example: Chicken is like the vodka of meat, it is so easy to add flavor to it. Chicken also has dark and white meat. Dark meat is much cheaper; it is often used in stir fry. White meat is delicious and often used to make chicken strips. I find it fascinating that red meat can be so regional even though we all use the same three animals. Lamb is not alien to the US but for whatever reason we don’t seem to eat them nearly as often as people in the Mediterranean. Barbecue is big in Texas and in the South but the South uses a lot more pork rather than beef. My brother was grilling tri tip at a wedding (in California) and a tall Texan with a cowboy hat approached him with a bewildered look on his face and ask my brother “what is that delicious beef?” Apparently the man was a real brisket guru and could tell that he was not eating brisket. This meat aficionado was completely unfamiliar with tri tip, a delicious cut of beef that is very popular in many parts of California. 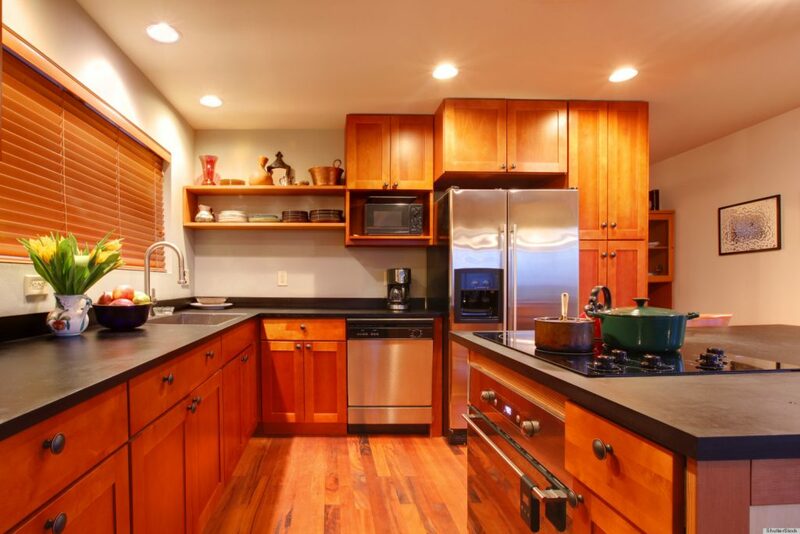 You need to make investments on important kitchen items and go super cheap with others. It is all a matter of how you cook. There are some obvious things worth spending money on like cutlery and pots and pans. With these items you absolutely get what you pay for. With other purchases you need to think about how often you will use them. My roommates and I deep fry our turkey on Thanksgiving so I have never spent any serious money on a roasting pan. My friend was learning to be a bartender and he bought a cheap $25 cocktail shaker from a department store only to find that it barely worked. Later that week he went to a restaurant supply store and bought one for $9.99 and it was superb. 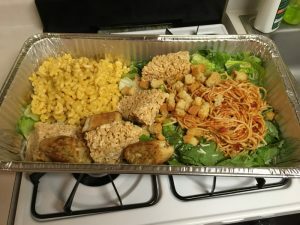 When you are running low on food and thinking of going to the store you can save money by taking stock of what you do have and planning out some odd Frankenstein meals. Timing these meals correctly can hold you over for a day or so until you get paid and can make it to the grocery store. This process can but does not always involve finishing off your left-overs. Sometimes you can create some truly inspired fusion meals out of necessity. If you are cooking for friends or guests, it is a good idea to cook what you know. This common bit of sage cooking wisdom has been passed from one cook to another for many generations, it is certainly nothing new. So don’t serve those experimental left-over meals when entertaining guests. Keep it simple and don’t over think things. It can be so helpful to clean up after yourself as you are cooking. I have a lot of friends and family who are very good at this and I am always surprised by how clean and organized their kitchens can be, even when they are throwing a party. This is a tip that, despite my best efforts, I am unable to perform. The one cleaning tip I live by is to have easy access to paper towels because they can be invaluable. Planning and organizing can be extremely helpful. Before starting a cooking project some people will measure out each and every ingredient into little bowls just a like on a cooking show. This benefits the cooking process but I think it is more work than it is worth. I am always careful to get all the ingredients and all the measuring devices out on the counter. Then as I use them, I try to put the various items away and the dirty dishes into the sink. This keeps things organized and neat without spending the time it would take to measure each ingredient beforehand. You can also plan out your meals themselves. With your weeks dinners planned out ahead of time you can be less stressed out and it can save money by cutting down on wasted food. I often fail to plan out my dinners for the week which results in me making too many last minute trips to In-n-Out. Slow cooking and braising are also important because they are easy and they can save you a lot of money. If you throw a cheap pork rump or a couple pounds of stew meat into a slow cooker, you can effectively make cheap meat taste fantastic. Call me a snob if you want, but chuck steak is so disappointing as steak, but once it has been tossed in a slow cooker it is excellent. I really don’t know why anyone bothers to cook them as steak. Like so many other people, I recommend farmers markets. Some people swear by farmers markets like they are some kind of solution to global warming, crime, all that is wrong with the world. I think these street vender gatherings are overrated. That being said, I absolutely agree that farmers markets allow you to get some fresh local produce, and if you are lucky, you might be able to get to know the people who grow your food. There is something to be said for eating food when it is in season and at the peak of its tastiness. 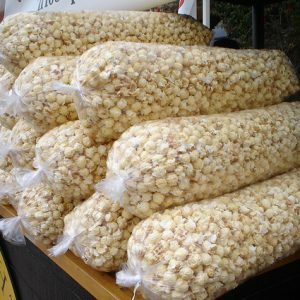 You should also take advantage of any situation that allows you to get a bag of fresh kettle corn. Once you have your fresh vegetables from the market you should probably steam them. I have been told over and over about how healthy it is to steam your vegetables. In particular, corn on the cob is supposed to be very good when steamed. I almost exclusively grill my corn on the cob so I am probably missing out on a lot of nutrients in place of the grill benefits, like flavor and fewer dirty dishes. I need to start taking advantage of steamed food so that I can be a little healthier; I believe tamales are the only thing I cook with steam. Hopefully these tips will be helpful to you. When it comes to cooking, the majority of people out there probably have different needs and circumstances than I do. Regardless of the details and differences, I think the most important thing is to be happy and efficient with the cooking you do at home. Thank for the food tips will surely try some of the grilled food next week. My dad loves grilled food and cooking it. My mom suggested buying a grill pro for his birthday and shared this article with him.